A vendor-neutral certification for those with proven deep technical and managerial competence, skills, experience, and credibility to design, engineer, implement, and manage their overall information security program to protect organizations from growing sophisticated attacks. It is backed by (ISC)², a global nonprofit organization dedicated to advancing the information security field. A certification demonstrating information security management expertise. The uniquely management-focused CISM certification promotes international security practices and recognizes the individual who manages, designs, and oversees and assesses an enterprise’s information security. A certification covering the major information security regulations & standards, to include International Organization for Standardization (ISO) 27002, Payment Card Industry Data Security Standard (PCI DSS), Federal Information Security Management Act (FISMA), HIPAA HITECH and more. On October 16, 2001, the National Security Telecommunications and Information Systems Security Committee (NSTISSC) was re-designated as the Committee on National Security Systems. The CNSS holds discussions of policy issues, sets national policy, directions, operational procedures, and guidance for the information systems operated by the U.S. Government, its contractors or agents that either contain classified information, involve intelligence activities, involve cryptographic activities related to national security, involve command and control of military forces, involve equipment that is an integral part of a weapon or weapons system(s), or are critical to the direct fulfillment of military or intelligence missions. The selection and specification of security controls for an information system is accomplished as part of an organization-wide information security program that involves the management of organizational risk---that is, the risk to the organization or to individuals associated with the operation of an information system. The management of organizational risk is a key element in the organization's information security program and provides an effective framework for selecting the appropriate security controls for an information system---the security controls necessary to protect individuals and the operations and assets of the organization. This certification demonstrates knowledge on conducting security control assessments that support organizational risk management processes and that are aligned with the stated risk tolerance of the organization. Demonstrates knowledge of the six-steps of the Risk Management Framework (RMF) which include security categorization, security control selection, security control implementation, security control assessment, information system authorization, and continuous monitoring. The Professional level in the Cisco Certification program recognizes a more advanced networking knowledge base and skills set. It validates the ability to plan, implement, verify and troubleshoot local and wide-area enterprise networks and work collaboratively with specialists on advanced security, voice, wireless and video solutions. Those who achieve the Professional level in the Cisco Certification program have demonstrated the skills required in enterprise roles such as systems engineer or network engineer. The MCSE credential is a certification that endorses your ability to administer and configure computer infrastructure running on Microsoft servers. The Microsoft Certified Systems Engineer has been retired and replaced with the Microsoft Certified Solutions Expert designation, however it is still accepted as a legacy certification. IT professionals earning the new MCSE credential will become Microsoft Certified Solutions Experts. Security+ meets the ISO 17024 standard and is approved by U.S. Department of Defense to fulfill Directive 8570.01-M requirements. It is compliant with government regulations under the Federal Information Security Management Act (FISMA). 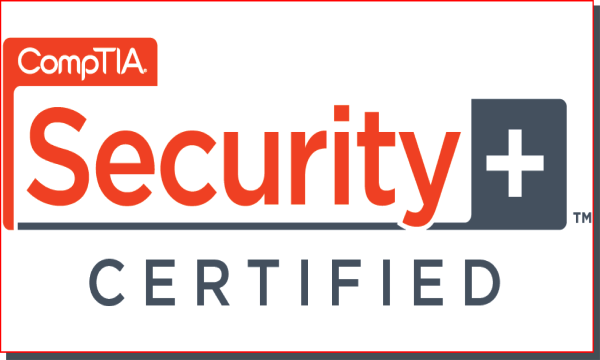 Security+ is a globally recognized credential with certified professionals working in over 147 countries throughout the world. Security+ is developed and maintained by leading IT experts. Content for the exams stems from a combination of industry-wide survey feedback and contributions from our team of subject matter experts. Learn more about the people behind the CompTIA Security+ Advisory Committee. Ariento is registered with the National Association of State Boards of Accountancy (NASBA) as a sponsor of continuing professional education on the National Registry of CPE Sponsors. State boards of accountancy have the final authority on the acceptance of individual courses for CPE credit. Complaints regarding registered sponsors may be submitted to the National Registry of CPE Sponsors through its website: www.learningmarket.org. The NextGen Global Competition engages young entrepreneurs who are poised to take off if given the mentoring and support from franchise leaders who are the best in the world at scaling concepts. Ariento was one of 20 winners out of more than 400 businesses across the globe. As part of their victory, Ariento founder Chris Rose spoke at the 2017 International Franchising Association (IFA) conference in Las Vegas, Nevada. Competition put on by the UCLA Engineering Institute for Technology Advancement, in coordination with the Easton Technology Management Center, the Technical Entrepreneurial Committee, and the UCLA Anderson School of Management. Winner must develop a new piece of technology, designate a target market for this technology, and create a business plan for implementation of this technology.